The Boyou Tea Factory is relatively new to the Pu-erh scene – it was begun in 2005 in the Menghai area. But even though they are one of the new kids on the block, they are known for making excellent shou Pu-erh, in part due to the fact that the fermentation workshop director from the Menghai Tea Factory (Master Huang An Shun) now works for Boyou in that capacity and has brought all of his knowledge and expertise with him. 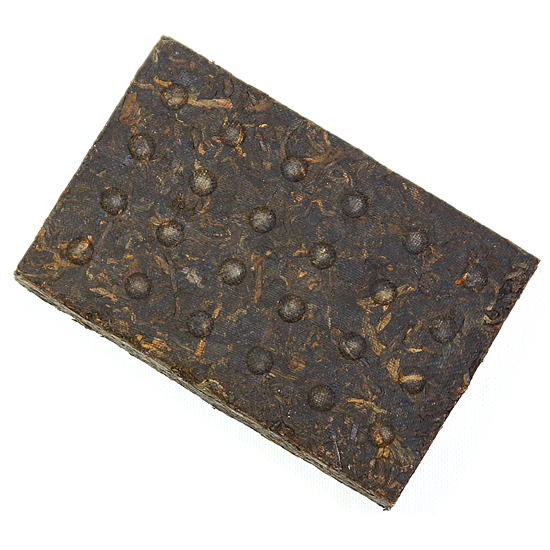 Many Pu-erh aficionados believe that Boyou’s shou Pu-erh are on a par quality-wise with those made in the Menghai Tea Factory (Dayi), which is an accomplishment indeed. Boyou features beeng cha made exclusively from Menghai area leaf materials. 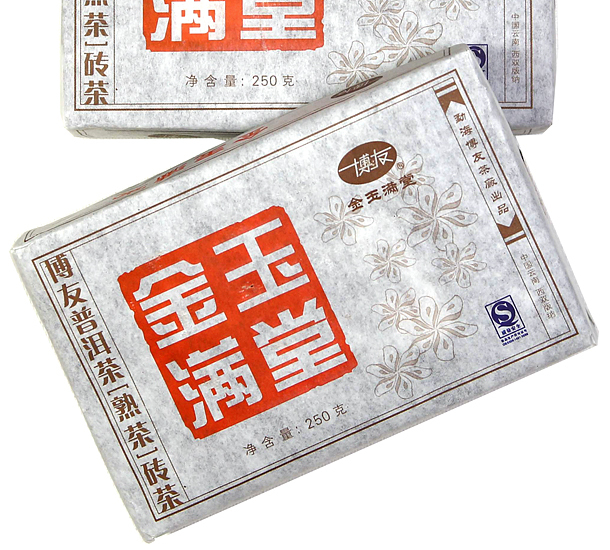 Boyou likes to hold their shou Pu-erh for a year or so before releasing it for sale. They do this to allow the wo dui aroma and taste to dissipate from the beeng cha and for the flavors of the tea to develop within the cake. This tea is excellent to drink now or it will keep for many more years to come. The tea is made from 3rd, 4th & 5th grade leaf, and those familiar with leaf plucking standards will know that, unlike the early and tiny single leaves and buds that are so desirable for making premium green teas, Pu-erh obtains some of its distinctions of flavor from 3rd & 4th leaf which stays on the trees longer and develop more strength and vigor in the taste. Why does this tea have rectangular shape? Round been cha tea cakes are the most common shapes of compressed Pu-erh, but many other shapes are made, such as rectangles, squares, tuo cha and melon shapes. Sometimes these shapes are made for a particular client, or to highlight a certain recipe of tea. Shape is not an indicator of quality nor should shapes other than round beeng cha be discounted as being less desirable. 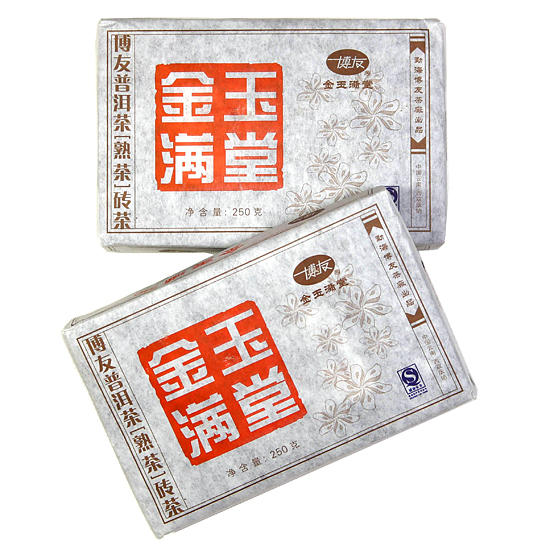 The JYMT letters on the label of this tea is for Jin Yu Man Tang, a phrase used on some Chinese good luck charms that roughly translates to mean “may gold and jade fill your house.” Perhaps that is a commentary by Boyou on the quality of this Pu-erh!